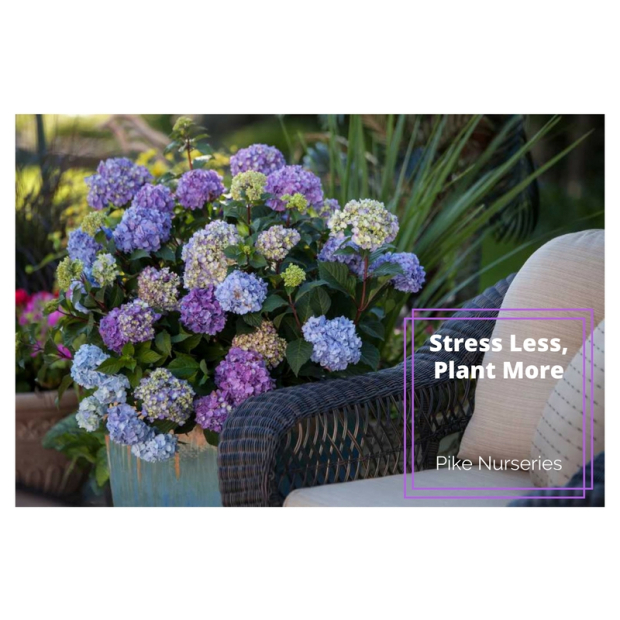 April is National Stress Awareness Month, the perfect reason to get out in the garden! Studies show that gardening can relieve stress and digging in the dirt is known to have therapeutic results–calming the mind, improving moods, relieving anxiety and easing depression. In addition, nature provides an oasis filled with beautiful sights, calming sounds and colorful animals. The process of planting a garden serves as a creative outlet, while the veggies and herbs grown in the backyard are a healthy boost to the diet and save money at the market. These benefits to the wallet and waistline, in addition to the therapeutic effects of gardening itself, can help combat and offset stress before it takes hold. Grow herbs, fruits and veggies – These staples in the garden (and the kitchen) are fragrant, useful and healthy, plus they help save money on delicious recipes. In addition to enhancing the flavor of meals, many herbs including lavender, mint and rosemary have aromatic uses that can be incorporated into a relaxation routine. Citrus trees, such as lemon and lime, make interesting backyard plants that are delicious and wonderfully fragrant. Tomatoes are easy to grow and provide lots of summertime produce for a smattering of delectable recipes. Planting blueberries in the backyard is also a great option. They are the ultimate summer fruit – delicious for humans and birds. Plant perennials –Many perennials are wonderful for attracting birds and butterflies that help create that “oasis” feeling in the backyard garden. Planting these also brings the added satisfaction of providing nourishment for local wildlife, luring creatures back to the garden each season. With perennials, such as asters, coreopsis, and sunflowers, gardeners can glean a sense of accomplishment by watching their garden develop year after year. Key perennials that also attract birds and butterflies include rudbeckia (black-eyed susan), echinacea (coneflower), milkweed and yarrow, to name a few. Install shrubs –Many shrubs have fragrant blooms that can enhance the mood of the garden. 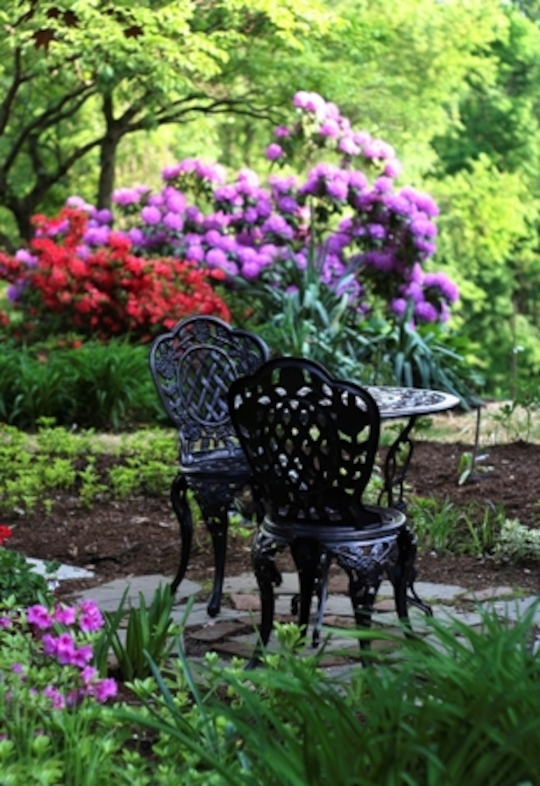 The flowers on blooming shrubs, such as lilacs and hydrangeas, can be cut for indoor arrangements, and petals on roses and gardenias can be dried for DIY potpourri. Shrubs that have berries, such as hollies, attract birds for eating and nesting, and others like buddleia (butterfly bush) and hibiscus bring hummingbirds and butterflies to their flowers and to the garden. Provide habitat – A garden is not complete without wildlife! Watching playful birds and colorful butterflies as they flit and flutter through the garden can help reduce stress. In addition to growing key plants, the best way to attract birds and butterflies to stay for good is to create habitats for them to live in the garden. Installing birdbaths and butterfly baths is a simple way to provide hours of entertainment watching their antics, while birdhouses allow gardeners to observe firsthand nests built and babies hatching. Bird feeders hung in a window or on a porch allow daily observation of sweet songbirds. Bringing pollinators to the garden is also easy with bug houses, so good bugs – like ladybugs and butterflies – will establish residence to keep plants healthy. 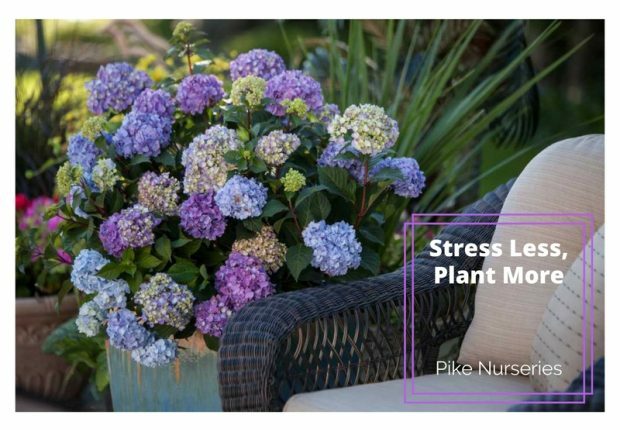 For more information on starting your own stress-reducing outdoor retreat, visit the experts in all store locations at www.pikenursery.com. Disclaimer: No monetary compensation was received for posting this information about Pike Nursery. 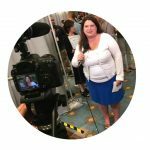 Information received from Brave PR. I really like your suggestion about installing shrubs and it is often overlooked, but it is such a nice way to attract wildlife. The best plants I ever bought have come from Pike Nurseries. They may cost a little more but in the end so worth it. I didn't know there was such a thing as bug houses. Our garden brings in all the birds butterflies and bees but we definitely want them to linger!